Our Black Liquor Oxidation Analyzer Solution utilizes sample extraction technology coupled with ultraviolet attenuated total reflectance (UV-ATR) spectroscopy for sample analysis. 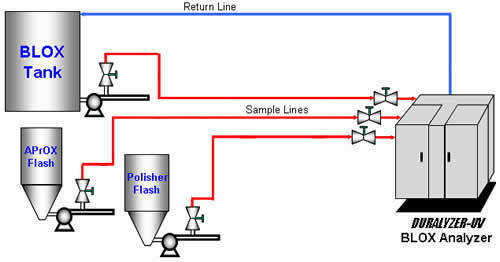 The solution is called the DURALYZER-UV™ online black liquor oxidation (BLOX) process analyzer. Each sample line is provided with measurements of residual effective alkali (REA), residual sodium sulfide (RNa2S), and percent total Dissolved solids (%TDS).